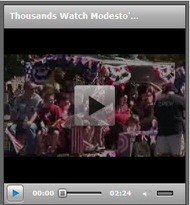 Since 1874, the city of Modesto has celebrated the 4th of July with a parade through downtown. 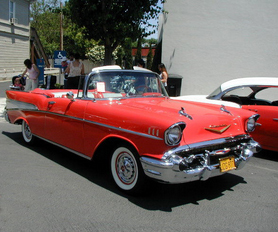 Organized by the Modesto Kiwanis Club. 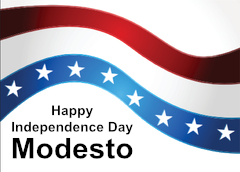 Have a safe and wonderful 4th of July celebration! 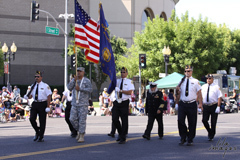 “Born on the 4th of July?” Anyone 1-100, who was born on the 4th of July, is invited to join the annual float by emailing Rachelle Barkus at teach2120@yahoo.com or call (209)681-4925. Have a comment? Email us!